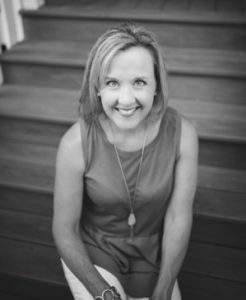 Kathleen is an independent consultant and executive coach with 20+ years of experience helping leaders and organizations maximize their potential. Hogan Assessments, and Korn Ferry (Lominger). Kathleen has coached hundreds of leaders across a variety of functions, nationalities and roles, in groups and as individuals, for short or long spans. Her focus is always on understanding individual strengths while helping leaders see how they can realistically change and grow in the face of everyday pressures. She believes leaders see the most valuable and lasting change when they feel understood, supported and accountable for their progress. Successful leaders are self-aware. Kathleen believes co-worker feedback is crucial to self-awareness. She also knows it’s not easy to understand or process feedback about ourselves, especially if we don’t receive feedback often. Kathleen helps leaders understand and take action from feedback, such as 360° surveys, personality assessments and/or stakeholder interviews. Kathleen’s years of internal HR consulting enable her to offer keen, personalized advice and research for HR departments on best practices for accelerating development of key talent. She also frequently facilitates leadership planning meetings, focus groups and senior leader interviews for HR clients. In addition to her work inside corporations, Kathleen is also an adjunct faculty member of Northwestern University’s Master of Science in Learning and Organizational Change program and a leadership coach with the Executive MBA program at Northwestern’s Kellogg School of Management. She also taught a class on “Influencing without Direct Authority” at the University of Wisconsin – Madison Center for Professional and Executive Development. When she’s not working, Kathleen loves spending time with her husband and three kids, reading fiction, working out, camping, hiking and listening to music.